Over the last few years, the ADA has been checking companies to make sure they are following ADA sign guidelines. Business that are not in compliance can be subject to heavy fines. 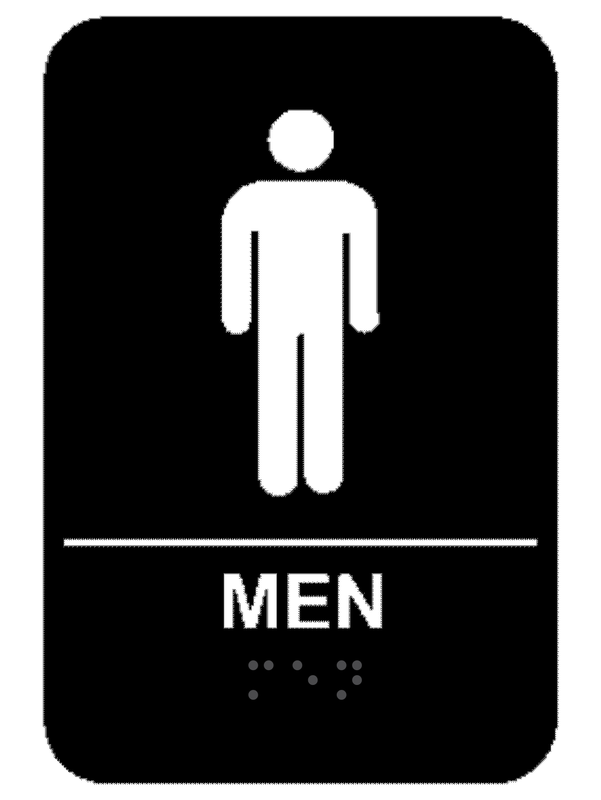 Ensure that your business is adhering to all ADA guidelines and regulations with this Black Men’s ADA Braille Restroom Sign. Our ADA signs are 100% up to date with all current state administration regulations. Order your ADA signs from us today.